For my white paper, I plan to dive into the controversial issue of the introduction of a legal organ market to the United States. An organ donation system is currently in place, but demand is much greater than the supply. Not many people are willing to donate their organs. As a result, compensation is an incentive to many, although this practice is widely contested. Currently, an organ black market exists, although this is illegal. Many view an organ market as unethical because although we have a duty to save lives as a society, it doesn’t include doing so by “any” means possible. Some say that organ selling violates the individual. On the other hand, those that approve of an organ market say that a duty to save lives is enough of a reason to legalize an organ market. Many people die while waiting for an organ. This article I found by Santa Clara Univeristy says that if the supply of organs increases, the price of those organs will go down, making organs more affordable for those in need. My search for think tanks led me to this article by Jennifer Monti published in 2009 by the Competitive Enterprise Institute think tank (CEI). She asserts that the issue over an organ market stems from a lack of supply of organ donors. The donor system, Monti says, is unreliable because there are no consistent sources of potential donors. In 2009, she says, “approximately 73,000 people sit on the waiting list for a kidney—18 of them will die by tomorrow and 6,000 more patients join the list every year.” This clearly describes an issue that needs attention. The National Organ Transplant Act of 1984 (NOTA) directly prohibits the sale of organs in the US, making new regulation necessary for any potential legal organ market. In the article, Monti is pro-organ market. She claims it will save lives, be safer, and make organ transplantation more efficient. I am not sure yet where I will stand on this issue after thorough research but as of now I agree with Monti. 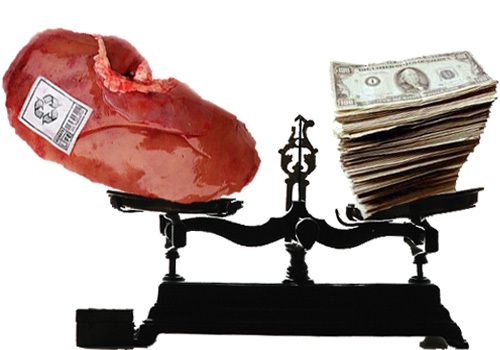 It seems that an organ market would be a win-win for both donors and recipients. For my paper, I would want to deeply analyze the pros and cons of an organ market and possibly introduce some case studies, if I can find them. There are many resources available on the topic and I hope that with more research I can come to a concrete opinion for my white paper. The CEI is probably a very libertarian think tank? Just so you know where it is coming from. How would the market work? Would insurers be paying? Or would the richer always be able to bid higher? And would they be bidding for quality of organ too? Does she (or anyone) have any ideas on how to balance the gain of more supply with some of the problems such as perverse incentives (Sell grandma’s organs) and lack of equity (you poor? Back of the line sucker)? I don’t at all want to squash this heartless (ha ha, a pun) proposal. It is fascinating. Also, what current black market? A think tank is definitely a society source, btw.